The perfect blend of sweet chocolate and pastry that melts in your mouth. One bite and you’ll be transported back to the Holy Land. Find them in a store near you! Love our chocolate rugelach? 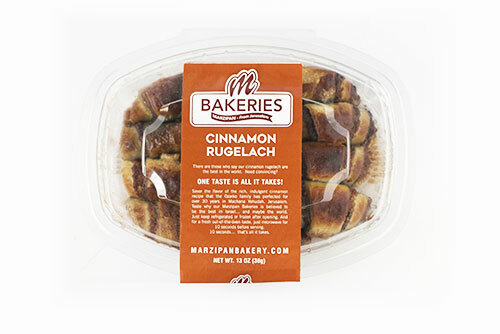 Then there is no doubt you will love the gooey, melt in your mouth, cinnamon sweet taste of our Cinnamon Rugelach. Find them in a store near you! 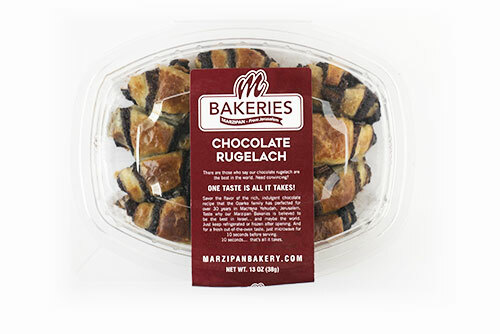 Would you like to see our rugelach in your store or a store near you? Fill out the form below, and we’ll get in touch! Would you like to receive the latest and greatest Marzipan Bakery news straight to your inbox?